Adorable Little Rock Bungalow Home!! Come see this adorable bungalow style Home for Sale in the Union Depot neighborhood in Little Rock! This 1935 craftsman charmer features 3 bedrooms and 2 bath with 2 living areas and a good sized kitchen! Hardwood floors through most of home, tall ceilings, and great storage make this a must see. 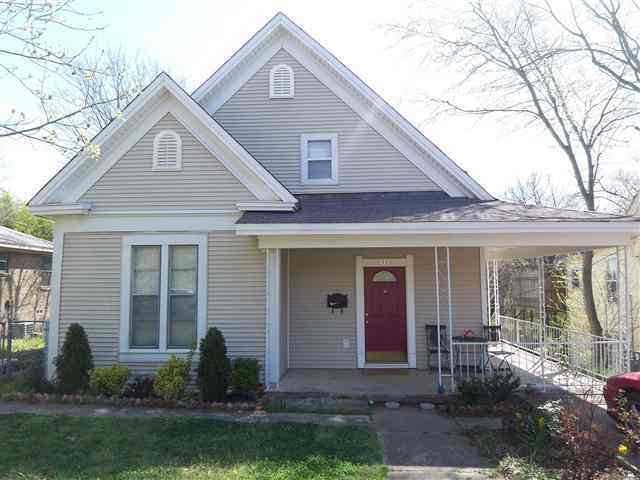 Close to both Heights/Hillcrest and Downtown Little Rock makes this house very convenient for all types of living. The wrap around front porch and the spacious fenced back yard makes for great outdoor living! Check out this site for more information about this home and many other Little Rock area homes! Great Homes In Little Rock! « Benton, AR home with a Splash! !